When I was at school I was voted most likely to be prime minister when I grew up. Looking at the haggard face of Mrs May I’m very glad I’m not, but I have pursued my own little political activism agenda. When the council demolished my local playground for fears it was unsafe, I lobbied them to build another. They told me if I wanted one, I needed to do it, so I secured a lottery grant and did so. When I wanted my local primary school to build a library, they said if I wanted one, I should do it, so I did. And I was ready to paint black and white lines on the road outside the school, until the council said that installing a zebra crossing was actually something they’d do themselves. I’ve even tried lobbying my son to play less Fifa and do more homework, but it turns out he’s more stubborn than the council, and that’s saying something. Anyway, to local acts of political activism in fiction and Vote for Effie by Laura Wood is a welcome addition to the canon. Effie joins a new school and instead of quietly observing how she could fit in, sees an injustice on day one, jumps straight in and fights to become Student Council President. Effie is an exuberant, outgoing and forthright character, who speaks from the heart and wins the reader’s vote straight away, although it takes a bit longer for her to convince her peer cohort. Wood’s breezy prose – the story is told in a wonderful first person narrative that is purposefully and woefully unself-aware – lends passion and conviction to Effie, who wants to change perceived ideas of sports and gender, bring awareness to student body about the benefits of recycling and libraries, and shake up the status quo. There are wonderful moments of comedy throughout the novel, (pasting her face onto the body of Emmeline Pankhurst on a campaign poster, for example) but serious undertones too, not only in the issues that Effie addresses within her school, but also the gentle sidebars to her story – the loneliness of the elderly as exemplified by her interested next-door neighbour, the benefits of immigrants to society. The text veers off prose too – interspersing the story with newspaper articles, notes, and minutes from the school council meetings to further the plot and beautifully twist points of view. Wood has a deft touch in children’s comic writing – she understands fully that the most important element of school life is not academics, or team sports or even gender equality, but FOOD. 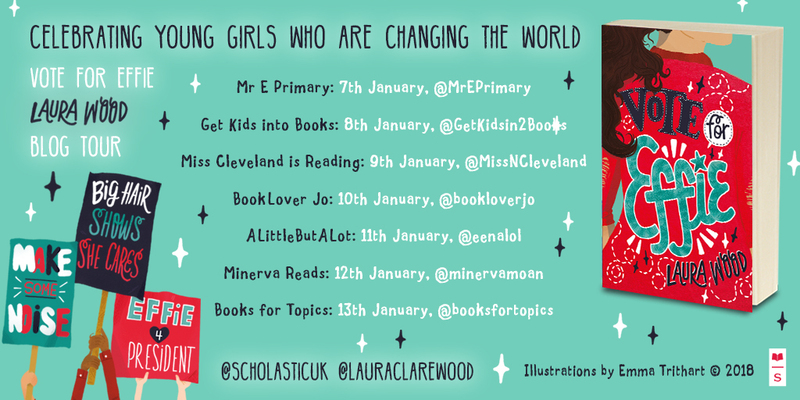 In all seriousness, this is a great novel showcasing women’s leadership, youth political engagement, and the hope that springs from children that they can make a difference, that they can make the world a kinder and better place – and don’t we need that at the moment! You can read Laura Wood’s thoughts on writing the novel here and buy the book here. What inspired you to write VOTE FOR EFFIE? There were a few things that inspired me to write Vote for Effie. In my job I’m so lucky that I get to go into different schools and meet loads of brilliant students, and something I was noticing was how incredibly politically engaged and switched on these young people were. I think that when I was eight years old I would have struggled to tell you who the Prime Minister was, and yet even the youngest children I work with know so much about what’s going on in the wider world – about Brexit, and Trump and the refugee crisis. And not only do they know, they CARE. This was really crystalised for me when the first Women’s March took place in 2017. Seeing so many young people taking part, hearing the stories of young activists, made me feel hopeful during a dark time. I wanted to write a book that was about that, about a character who is an optimistic force of nature, one who sees things that need changing and does something about it. Were you like Effie when you were at school? There are definitely bits of my personality in Effie, and we share a love of musicals, Disney films and glitter glue, but I think Effie is a lot braver than me. We didn’t have student council, but I don’t think I could have handled the high-stakes rollercoaster of an election campaign… I’m much more of a behind-the-scenes person! If you could join Effie’s campaign team, what role would you want? I’d love Angelika’s job as campaign manager. Running the campaign, organising things, and owning lots of colour coordinated post-it notes and shiny ring binders would be ideal! Do you have any tips for young people who want to make a difference at their school? I think the first thing is to make a manifesto, to think about the things that you want to change and why. Once you have a practical, manageable list of issues you want to tackle then it’s much easier to start taking action. At first Effie finds it difficult to narrow down her list of issues, but talking things over with her friends always helps her to make sense of things. With thanks to Laura Wood, and publishers Scholastic. 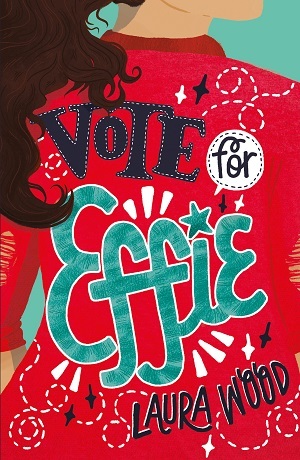 To buy a copy of Vote for Effie, click here, and to read my review, come back tomorrow! There’s always that one book you read over a lazy summer, (maybe whilst swaying in a sun-dappled hammock or sitting at the edge of a swimming pool with legs dangling in the cool water), which is like a drop of sunlight itself, with its long languorous descriptions of hot lazy days and summer evening outdoor parties. The Great Gatsby is that novel for me. Although I take great pleasure in re-reading it at any time of year, (I view it as the quintessential novel and marvel at its perfect opening and closing, its narrative arc, its unreliable narrator), it always conjures a feeling of sticky heat, of lavish summer nights and heated tension. 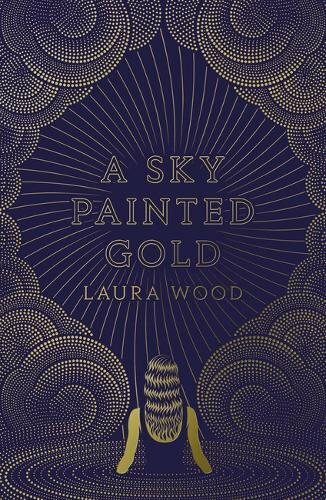 A Sky Painted Gold by Laura Wood is another summer novel, and although it’s certainly been smudged with more than a hint of a Gatsby brush, and has more than a touch of I Capture the Castle to it, its narrator seems to be pretty much reliable. 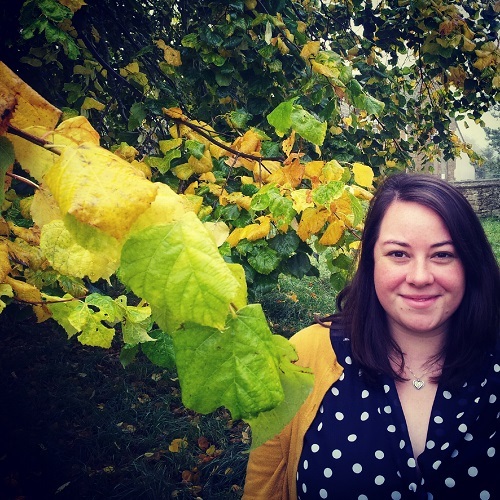 Lou Trevelyan lives in Cornwall with her large family and dreams of being a writer. In search of solitude, she steals away to the large empty Cardew house on an island across the causeway, but when the owners arrive for the summer, her place of abandon is turned into an opulent party house. After gate-crashing one of their Gatsby-esque parties one night, Lou receives an official invitation to the house, and before long she’s swept into the Cardews’ decadent world and captured by their attractive carelessness. In the same way that Lou is seduced by the brother and sister who own the house, despite them being, at times, careless with other people, so the reader is seduced too by the lush descriptions of parties on summer nights and beautiful people living luxurious lives. There is nothing new about this coming-of-age romance, but it sumptuously immerses the reader in the 1920’s era, with great period detail recounting the hairstyles, art deco, dresses and jazz music of the time as the wild youngsters experience the post-war age. Wood carefully explores Lou’s transformation into adulthood; the conflict with her country bumpkin older sister, the astute knowingness of her parents that each of their children will grow to have different lives, Lou’s own excitement at seeing London, and her growing sense of freedom and independence counteracted with her wariness of the wider world, the temptations of the time and the wilder morals of the people she encounters. The mood of change as the world takes breath after the First World War is well captured by Wood; her youth are more daring, embracing different styles of music and dance, and displaying the restlessness and grasping for fun so indicative of the wealthy youth of that time. Wood documents their proclivity for drinking and extravagance, and notes the growing freedoms of women and the emergence of black culture – and in doing so she shows how she has plucked her enigmatic Cardews from that famous ‘lost generation’, as well as expressing her insight into our own times with her glance at that period of history almost a hundred years ago. And yet, this is a dreamy YA read rather than a satirical criticism of the time. The Cardews may be careless with their money, but they are not as careless as Fitzgerald’s characters: here the Cardews win the readers’ love and sympathy, and pose as victims and heroes in a mesmeric summertime escapist novel. With their increased leisure time, these protagonists have the wherewithal to devote time to sketching and writing, climbing trees and observing. And so the book matches perfectly a reader’s desire for their own pleasurable leisurely summertime read. For ages 12+ years. Publishes 5 July. You can pre-order it here.